These beauty benefits of tomato will amaze you! 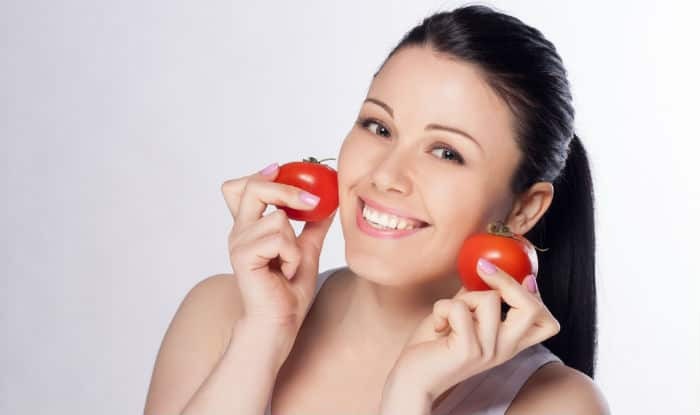 Here are five different ways to use tomato in your skincare routine to get healthy skin. Vitamin A-rich and nutrient-dense tomato is a superfood that goes beyond just providing basic nutrients. We earlier shared with you some amazing beauty benefits of tomatoes, today we share with you some home remedies using tomatoes to target various skin problems. Tomato contains lycopene which acts as a natural sunscreen for your skin. Also, the antioxidants present in the fruit helps to fight cellular damage. It shrinks your pores, removes blackheads, reduces oiliness and gives your skin a natural glow. 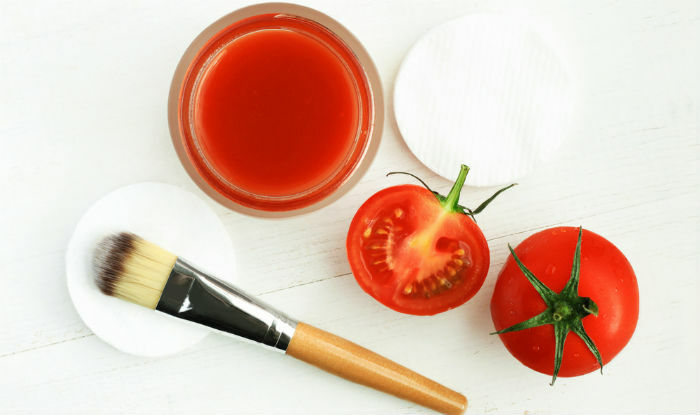 Here are some DIY tomato face packs you can make at your home. These natural remedies can be used to target problems such as tanning, greasy skin and dull complexion. If you want to get rid of the tanning on your skin, you can use this tomato and lemon face mask. This homemade mask will get rid of tan and leave your skin brighter. To make this face mask take a ripe tomato and grind it into puree. To this add two tablespoons of freshly squeezed lemon juice. Mix well and apply this on your face and neck. After 20 minutes wash it off with cold water and pat dry your skin. If you have sensitive skin, you can use this face mask to exfoliate and moisturize your skin at the same time. To make this exfoliating face mask, in a blender add a tomato and 2 tablespoons of milk and blend well. To this add half a cup of grated coconut. Mix all the ingredients well and apply it all over face and neck, exfoliating in gentle upward motions for few minutes. Leave it for 10 minutes and then wash it off. This mask will work as a natural exfoliant and the tomato and milk will moisturize your skin without being too greasy. If you want to get rid of excess sebum, acne, acne scars and reduce the appearance of pores, then you can use this DIY face mask. This works well on oily skin. To make this face mask, in a bowl add 1 tablespoon of cucumber juice, 1 tablespoon of tomato juice and 1 tablespoon of oats. Blend all the ingredients to make a smooth paste. Massage this mask into your skin using gentle upward motions for a couple of minutes and then leave it for 10 minutes. Wash it off and pat your skin with a clean towel. If you have combination skin, then this is the best homemade face mask for you. To make this face mask you will have to blend 8-10 cubes of papaya to make a paste and then add equal amount of tomato pulp to the paste. Mix well and apply it all over your skin. After 15 minutes, wash it off with lukewarm water. This face mask will get rid of blemishes and add a natural glow to your skin. (ALSO READ Beauty Benefits of Garlic: 5 Ways to Use Garlic in Your Beauty Routine to Get Acne-Free Skin and Healthy Hair). 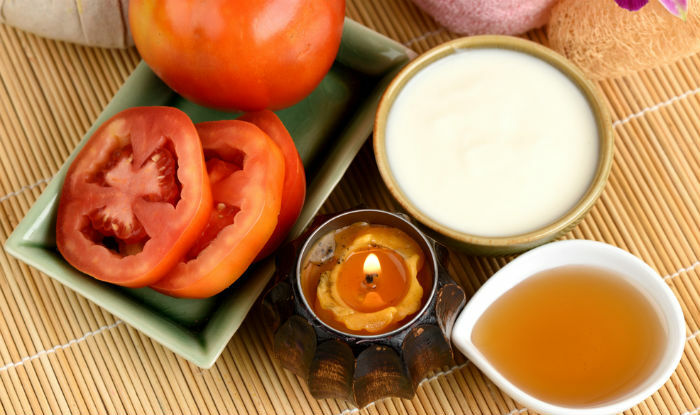 If you have dull and lifeless skin, use this skin-brightening face mask made with tomato and honey. To make his face mask, blend 1/2 a ripe tomato with 1 tablespoon of honey. Apply this paste onto your face and leave it for 15 minutes. Then wash the face mask with cold water and pat your skin dry with a clean towel. This face mask will reduce the appearance of blemishes on your skin and also lighten the complexion of your skin.